If Willie Nelson hadn’t fashioned himself into the artist he is over the course of thousands of performances and some hundred-plus albums, who could’ve dreamed him up? He’s been the epitome of consistency, each of his shows an easygoing epic, each album loosely held together by a narrative or stylistic thread, each project expanding on country’s troubadour tradition. And yet, he’s also the most capricious of musicians, willing to let himself be guided by his whims, so wily and jazz-bent in the phrasing of his vocals and guitar figures that trying to match his wavering rhythms is a fool’s erranOn his rich, new album, God’s Problem Child, Nelson likewise attributes an incongruous range of qualities to the passage of time itself. Where some artists embrace somber, late-career meditations on mortality as a way to make a final case for their depth and burnish their legacies, at age 84, Nelson reflects on this season of his life with a mischievousness and equanimity that already feels familiar coming from him. Bookending the album are songs that convey nostalgia for places and people: the gospelly country-blues romp “Little House on the Hill” — a first-time cut for songwriter Lyndel Rhodes, the nonagenarian mother of Nelson’s seasoned producer, Buddy Cannon, who’s been on quite the roll this year — and “He Won’t Ever Be Gone,” a twangy, Gary Nicholson-penned tribute to Nelson’s late peer and comrade, Merle Haggard. Between those two numbers, Nelson unfurls gentle, but unsparing insights. “It Gets Easier” might bring to mind the similarly titled string of confessional videos aimed at reassuring troubled LGBTQ tweens and teens that they have plenty to look forward to, but Nelson’s tone is hardly optimistic; he’s singing, with elegant empathy, about how easy it is to withdraw from living a fully engaged life as you get older. The classic country waltz “Your Memory Has a Mind of Its Own” — one of seven songs on here that he co-wrote with Cannon via text message — is haunted by a loved one’s inescapable absence, while the ruminative ballad “True Love” lifts up a romanticism that endures despite the bruises of experience. “I’ll leave this world believing, true love, you’re still my friend,” Nelson murmurs. Note: NPR’s First Listen audio comes down after the album is released. However, you can still listen with the Spotify or Apple Music playlist at the bottom of the page. If Willie Nelson hadn’t fashioned himself into the artist he is over the course of thousands of performances and some hundred-plus albums, who could’ve dreamed him up? He’s been the epitome of consistency, each of his shows an easygoing epic, each album loosely held together by a narrative or stylistic thread, each project expanding on country’s troubadour tradition. And yet, he’s also the most capricious of musicians, willing to let himself be guided by his whims, so wily and jazz-bent in the phrasing of his vocals and guitar figures that trying to match his wavering rhythms is a fool’s errand. On his rich, new album, God’s Problem Child, Nelson likewise attributes an incongruous range of qualities to the passage of time itself. Where some artists embrace somber, late-career meditations on mortality as a way to make a final case for their depth and burnish their legacies, at age 84, Nelson reflects on this season of his life with a mischievousness and equanimity that already feels familiar coming from him. Since there have been so many internet rumors of his impending death over the years, he makes a wry joke of his mortality in “Still Not Dead,” the album’s most energetic number. 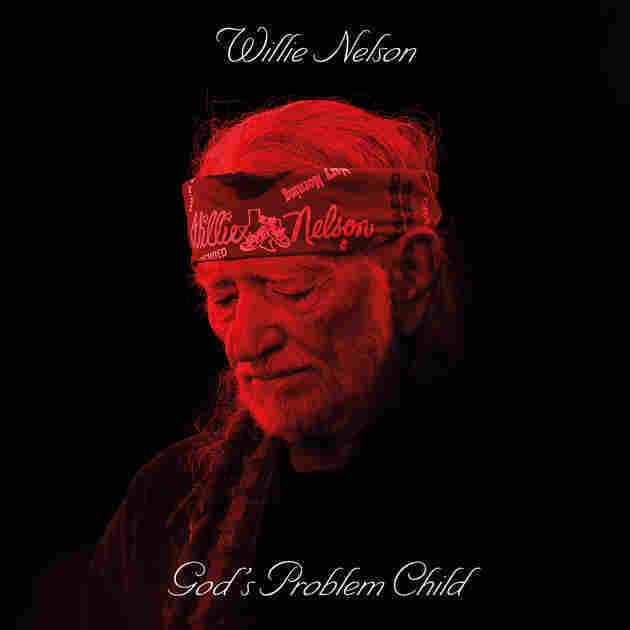 He also channels the soulful scoundrel side of his persona into “God’s Problem Child,” which features the late Leon Russell and whose authors, Jamey Johnson and Tony Joe White, take turns singing lead. A ruminative blues number, it’s a chance for Nelson to play guitar solos in impish spurts. But he’s not interested in maintaining an illusion of invulnerability. During “Old Timer,” a stately piano ballad laced with his longtime harmonica player Mickey Raphael’s reedy, disconsolate notes, Nelson conveys melancholy awareness of the contradiction between a lively mind and deteriorating body. He still sings with grace, and it’s moving to hear his vocal instrument finally beginning to betray a bit of frailty in his ninth decade. Temperate, fickle and revelatory in turns, his is truly a voice to trust.